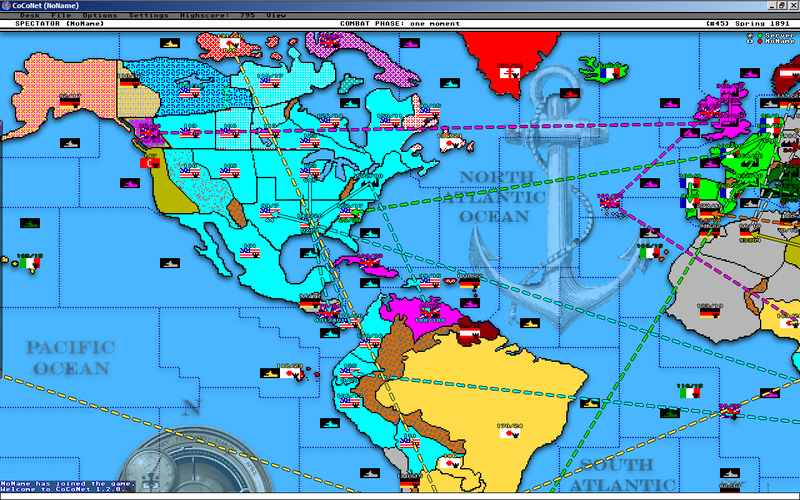 Kroah's Game Reverse Engineering Forum • View topic - USA Enhanced - a new and working scenario! USA Enhanced - a new and working scenario! Share your custom maps here! A new-ish map based upon the Nieuw Standard Map modified to include a lot more states within the North American continent. England has a name change, various islands previously inaccessible are now alive, New Zealand &c. The majors are more focussed on specific areas of the globe to colonise. The sea areas are now more 'antique' with some typical map decoration, visually the continents have more depth to them so they stand out. The map has a few bugs but it is playable. Do give it a try. Last edited by dizt3mp3r on 14 May 2017, 19:50, edited 2 times in total. Oh, you modified my scenario! unfortunatly, I cant load it because of an assembly error/system exeption. but the map looks cool! btw .. it looks like you have to do some refill actions (at the end of the map.xml file). I just realised that I had failed to post the working version of my map USA Enhanced. It is based on the nieuw standard map as mentioned earlier and it has a bug or two but it works!